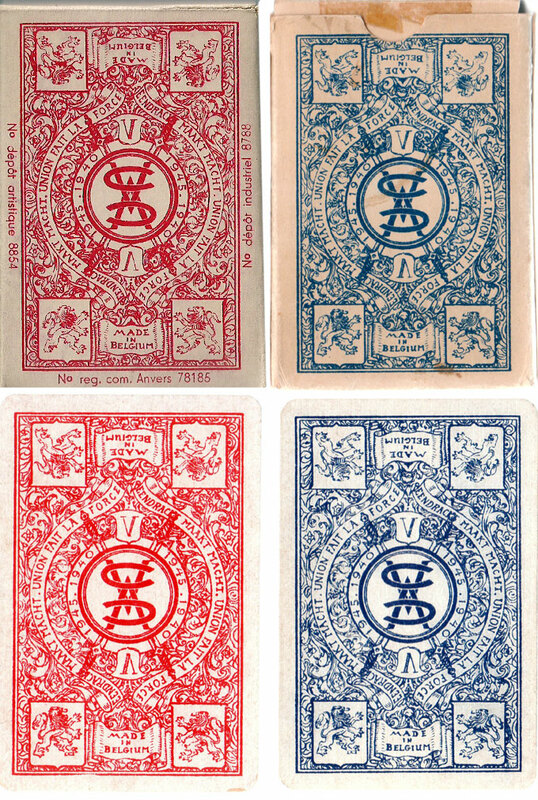 Mesmaekers issued two commemorative packs after the war in 1945, at a time when trade had more or less ceased. L'union Fait la Force has four suits dedicated to the victorious nations of the Second World War. 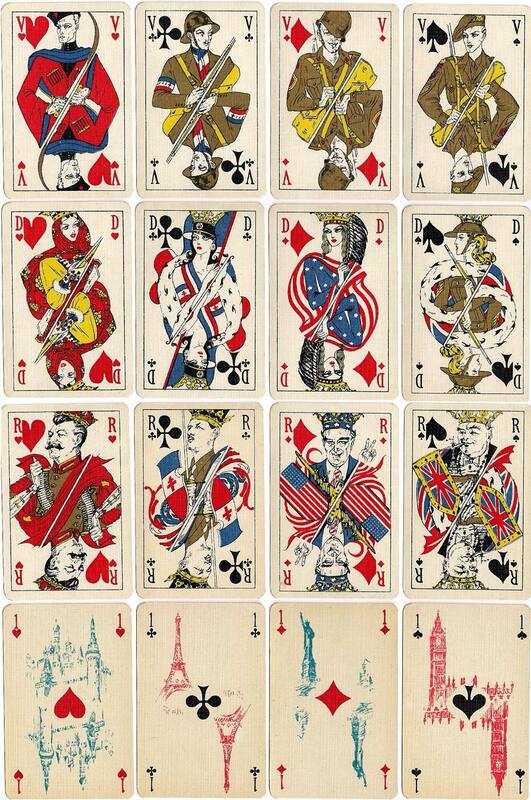 The Kings show political leaders of the four largest allies: Churchill (Spades), Stalin (Hearts), De Gaulle (Clubs) and Roosevelt (Diamonds) with Adolf Hitler as ther Joker. 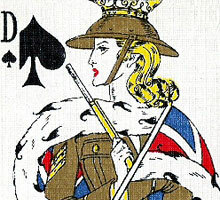 The Queens are ladies in patriotic dress and the four Jacks are soldiers. The Aces show Big Ben, the Kremlin, the Eiffel Tower, and the Statue of Liberty. 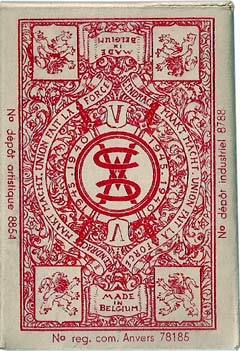 Above: “L'union fait la force” produced by Ets. Mesmaekers Frères, Turnhout, 1945, commemorating the close of the Second World War. 52 cards + Joker in box, 58x88mm, gilt corners. The four Kings depict allied leaders Churchill, Roosevelt, Stalin, De Gaulle. 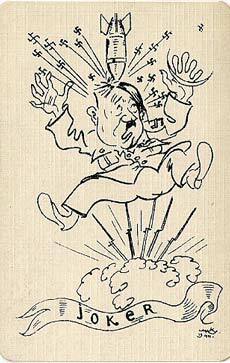 The Joker is a caricature of Adolf Hitler. The Aces show the Kremlin, the Eiffel Tower, the Statue of Liberty and Big Ben. Gilt corners. • See also: WW1 Commemorative pack.